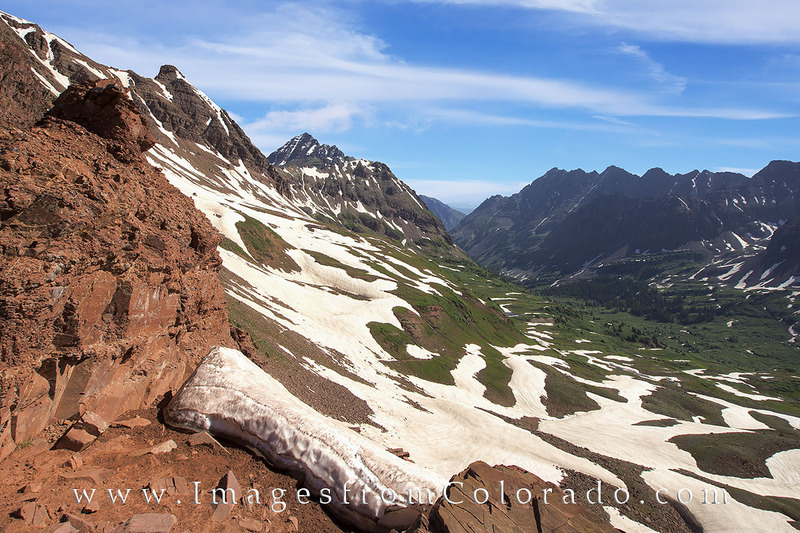 The Maroon Pass hike takes you up to 12,490’ as you trek from Crested Butte to Aspen or vice versa. The trail is only around 12 miles, but the views are spectacular. The Maroon Bells, two of Colorado’s most well-known 14,000’ peaks, are visible for a portion of the hike, and in summer you’ll wind your way through fields of wildflowers. In either direction, the trip is worth the sweat it takes ascending to the top of the pass, and it is a landscape you won’t soon forget. Photo © copyright by Rob Greebon.